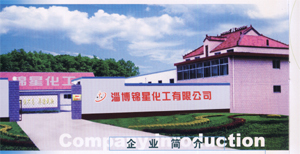 ZIBO JINXING CHEMICAL CO.,LTD. is specialized to manufacture and trade bitter salt, ferrous sulphate and zinc sulfate, rolling scientific research, industrial manufacture and trade into one. With advanced technology and high quality products, company sells its products like bitter salt around the country, southeast Asia, Europe, America, New Zealand and Africa, whose quality meets the requirement of pharmacopoeia 2000 version and annual output hits over 40 thousand tons. Anhydrous bitter salt meet the analytic pure standard. Taking credit, quality and customers as basis, company welcome friends from all walks to cooperate with us.